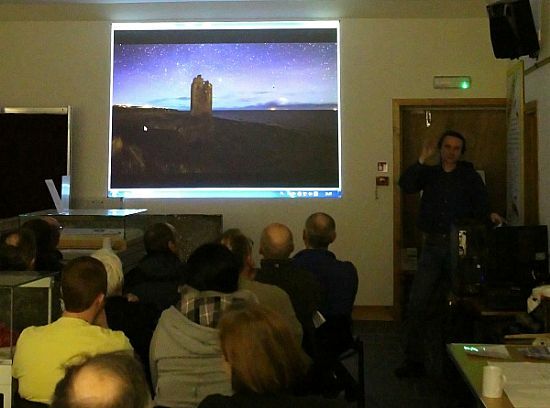 Early January saw CAG Chairman Gordon Mackie give a talk to the members of the Guild on what to see in the night sky. 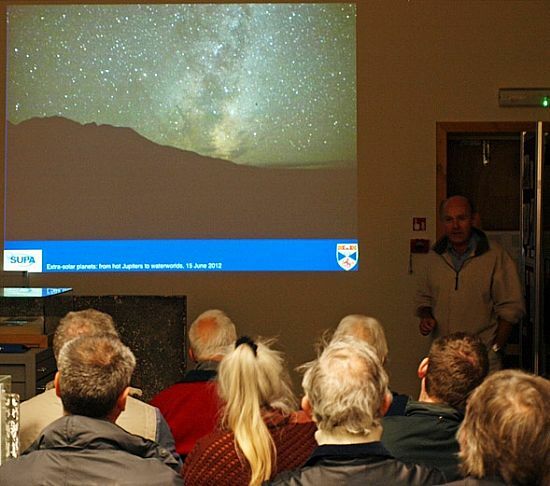 The talk used many locally taken photos of the night sky such as those taken by amateur photographer Stewart Watt (www.underhighlandskies.com) as well as a few of the better ones obtained by the speaker over the years. 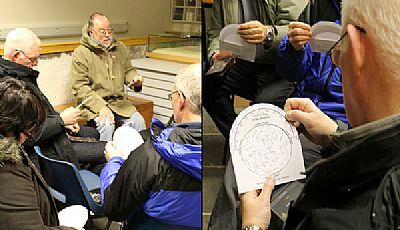 Photo showing some of the Guild members with their newly acquired free BBC star guides to use next time the skies are clear. 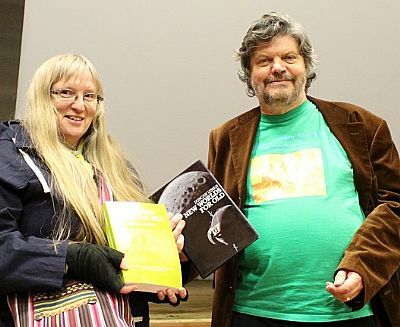 Left to right: Jim Johnston (proof that a beard isn't required to be a keen astronomer or male CAG member! 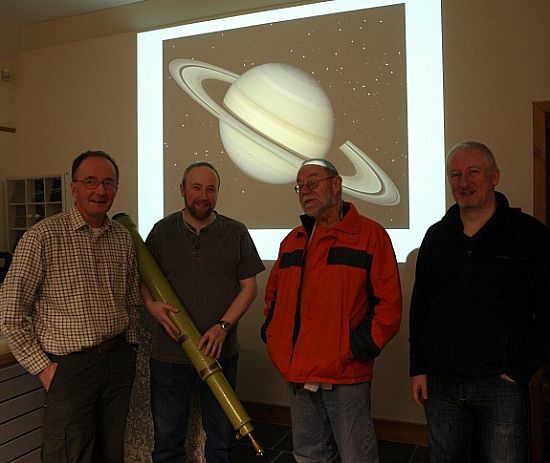 ), John Hilton, Mike Lunan & Gordon Mackie (photo by Alan Kennedy). 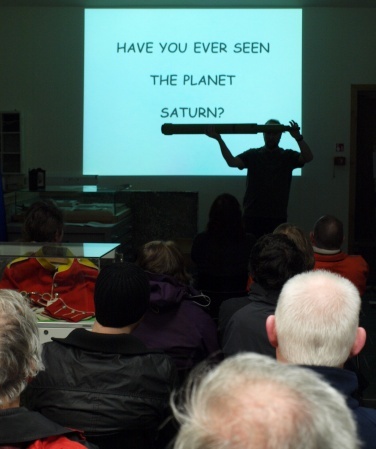 John Hilton kicked off the evening with a talk describing how seeing Saturn through his fathers homemade telescope at his first CAG event spurred him to take up astronomy as a hobby. 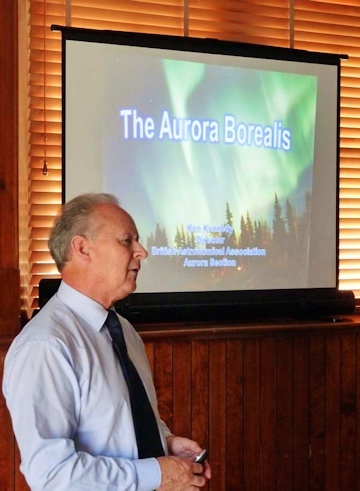 Well known local astronomer Jim Johnston then gave a talk on aurora entitled "Were you ever out in the Great Alone? 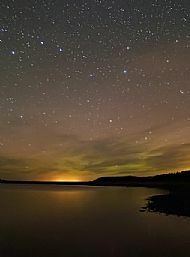 The title being a reference to the poem "The Shooting of Dan McGrew" by Robert Service, in which the Northern Lights are mentioned. 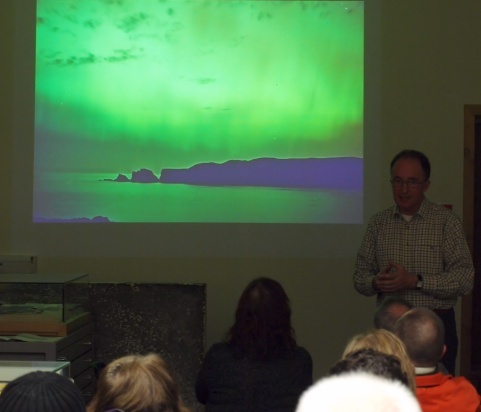 His talk showed many stunning images of aurora including ones he had captured himself from Bettyhill over the years. 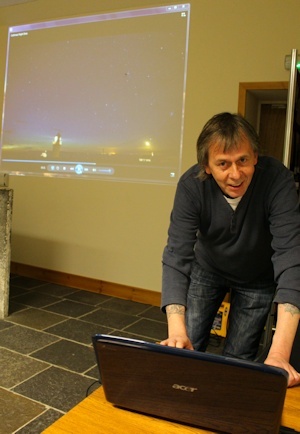 Then in the absence of starry skies outside, frequent CAG speaker Mike Lunan gave a tour utilising planetarium software, describing some of the many interesting objects that can be seen in the night sky during the winter months. 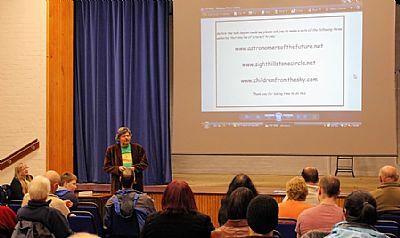 This was followed by a talk by Gordon Mackie on the importance of dark skies for astronomy. 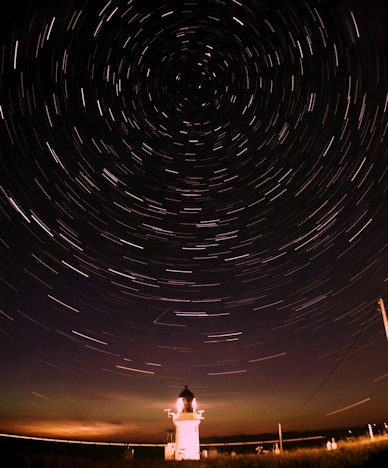 It illustrated how the skies in the north of Scotland are some of the least light polluted in Europe. 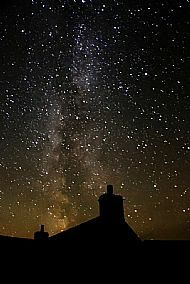 Indeed in some locations they can match the darkest skies available in populated areas of our planet, providing stunning views of the heavens above us (weather permitting!). 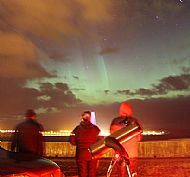 At the CAG Stargazing Live event (details above) it was highlighted that there was a good chance of sighting aurora in the night sky over the weekend due to an earthbound CME. 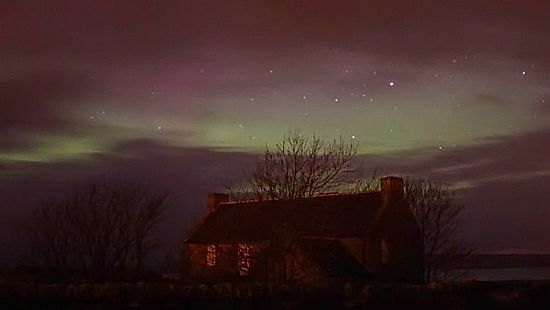 As predicted aurora were clearly visible across Caithness through breaks in the cloud on the evening of Sunday 22nd Jan. It was good to see them again after a few months without them lighting up our night skies . 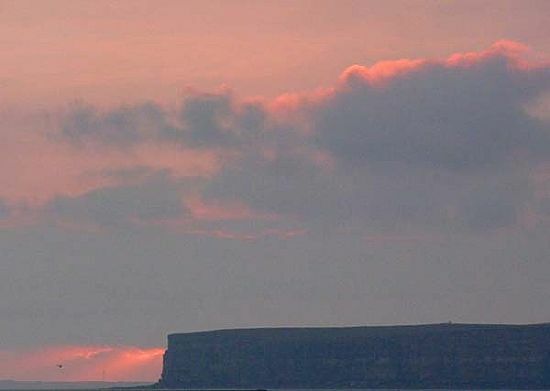 A faint red colouration can be seen above the normal distinctive green glow. 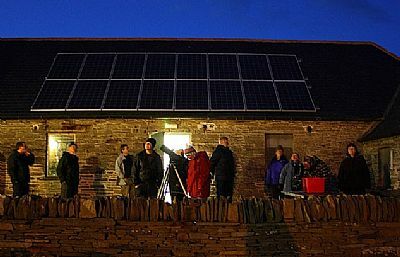 This display was also seen much further south in the UK and even made it into the BBC evening news. 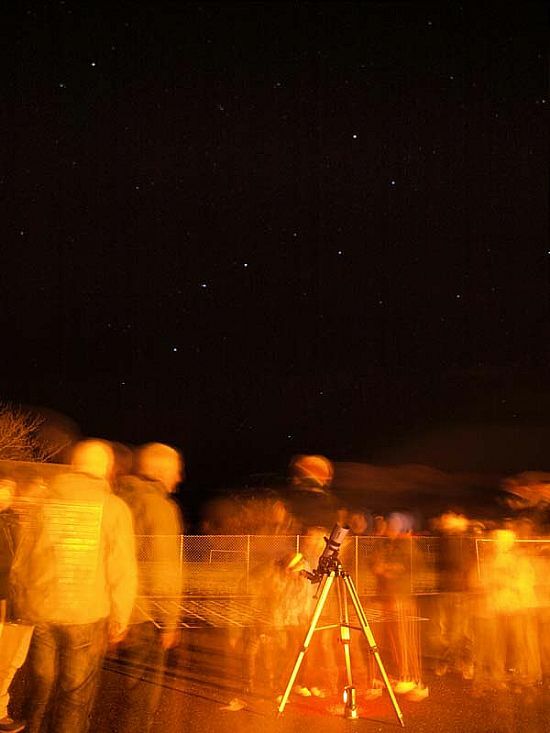 To finish off a busy first month in 2012, Caithness Astronomy Group Chairman Gordon Mackie and STEM ambassador Gary Strachan carried out a stargazing session for some school children at Mount Pleasant Primary School. 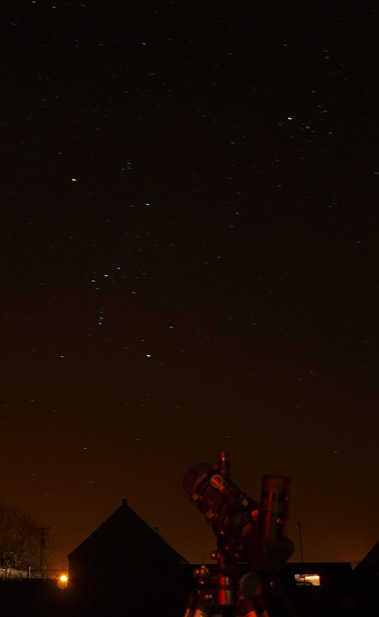 The prominent constellations of Orion, Taurus & Cassiopeia were clearly visible. 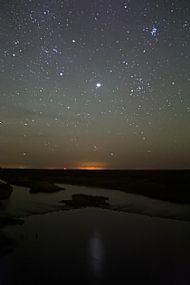 The Plough was also easy to pick out to the north and it was explained how it could be used to find the North Pole Star. (Rocket launching - always a favourite!). 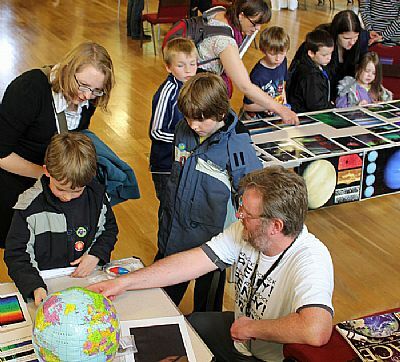 Above: CAG Treasurer, John Keeton explaining the workings of the universe! 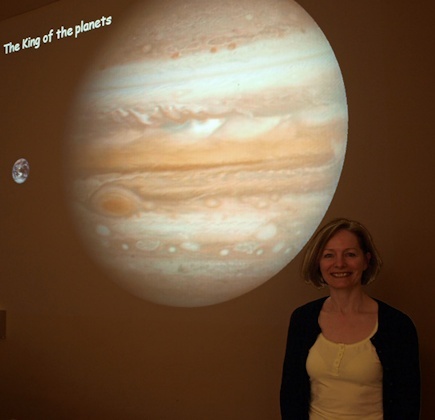 Then on 15th March at Castlehill Heritage Centre CAG hosted a well attended talk on "Jupiter - the King of the Planets" by guest speaker Pauline Macrae from the Highlands Astronomical Society (www.spacegazer.com). 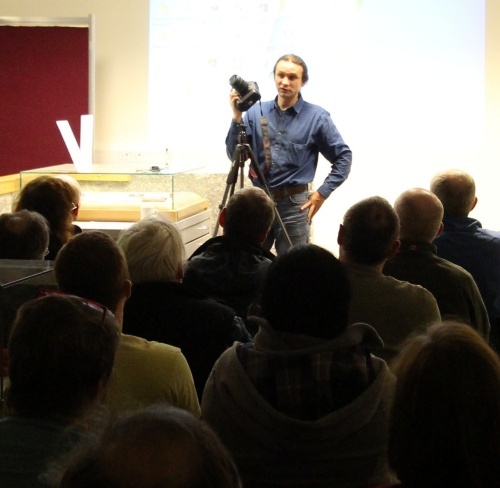 The above 2 photos in this report were taken by CAG member Maciek Winiarczyk. 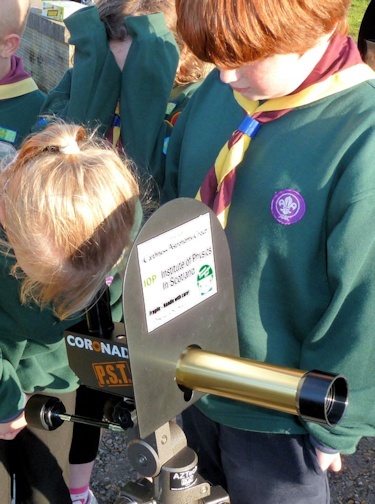 With the longer days upon us, CAG Chairman Gordon Mackie took advantage of a clear sunny evening and joined a local Scout Group to carry out some solar observing and other astronomical activities to support them obtaining their astronomy badges. 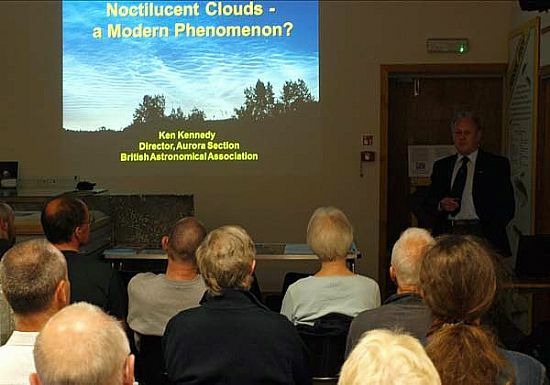 In late May CAG were delighted to welcome BAA Section Director Ken Kennedy to Caithness to give talks on the subjects of Noctilucent Clouds (NLCs) and Aurora. 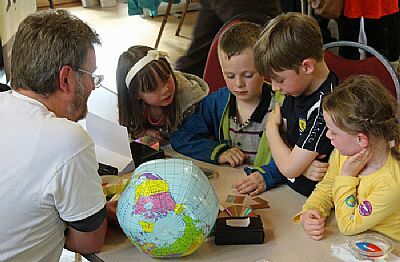 These events were supported through funding from the IoP in Scotland (http://iopscotland.org/) and the Dounreay Communities Fund. Above photo was taken by Ken Kennedy. 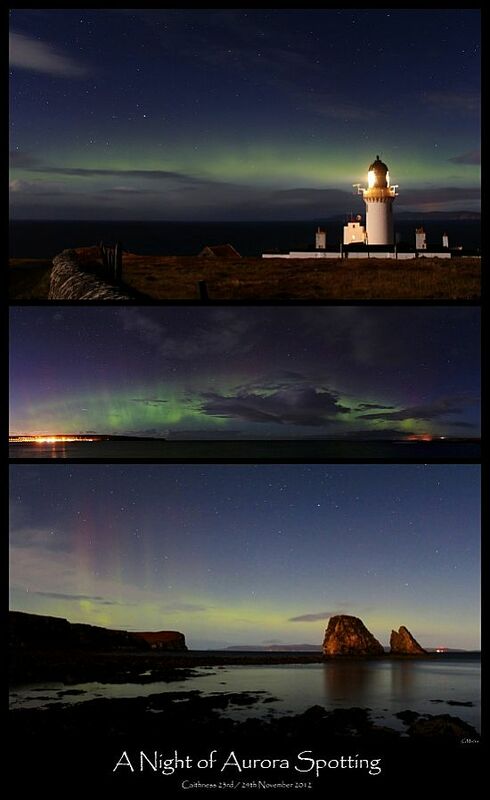 Also at the event were a stunning selection of locally taken aurora and NLC photos. These were displayed during the month of June in the Caithness Horizons cafe gallery, where they generated considerable interest. 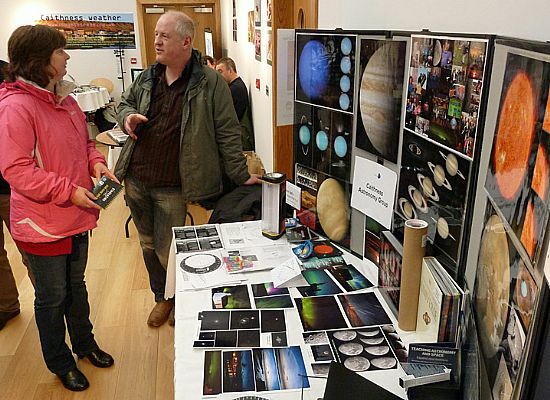 The images are also destined for display at other events later in the year. 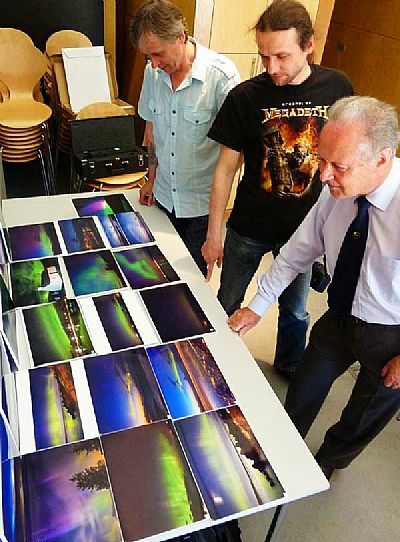 Above photo left to right: Local astrophotographers Stewart Watt and Maciek Winiarczyk talk Ken Kennedy through the colourful scenes on display. 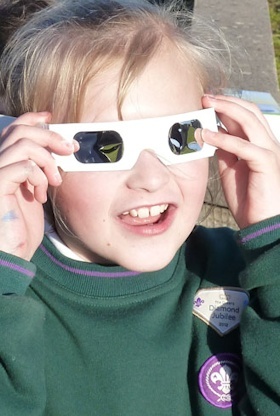 Transit of Venus - last chance in a lifetime to see the event! As a consolation those assembled had to make do with videos about the transit and early footage from the SDO satellite, taken when the transit started a few hours earlier. What a night! 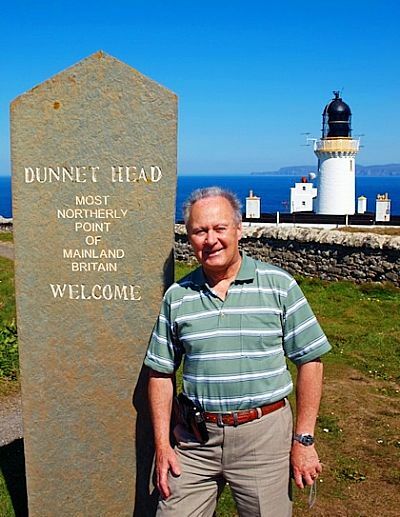 A small group of CAG members made their way to Dunnet Head for a dark scenic spot to enjoy the Perseid Meteor Shower. 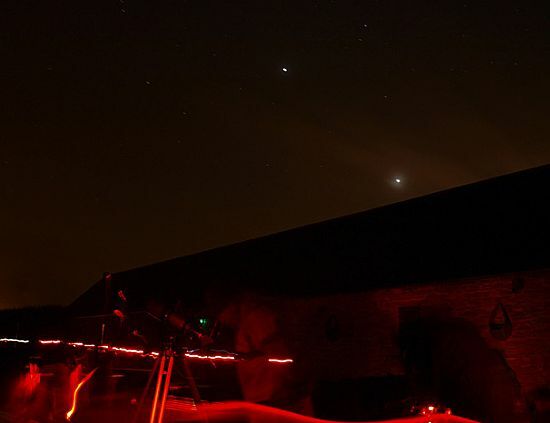 They were well rewarded for their troubles with lots to see - the ISS, lots of meteors, the Milky Way in all its splendour stretching overhead, Jupiter, a crescent moon, Venus, noctilucent clouds and even some aurora. 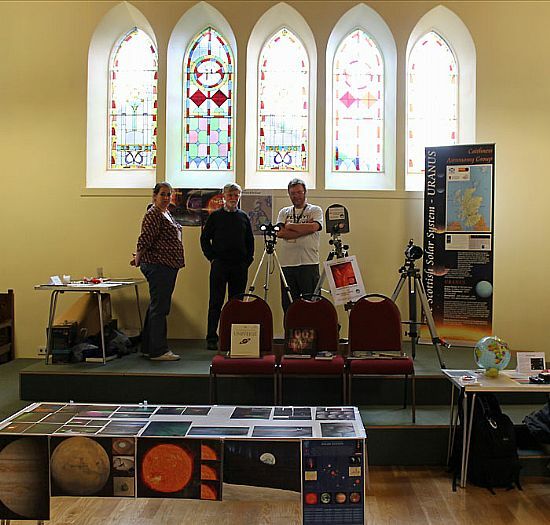 The start of a very busy month saw CAG hold their annual Open Day event in Caithness Horizons. 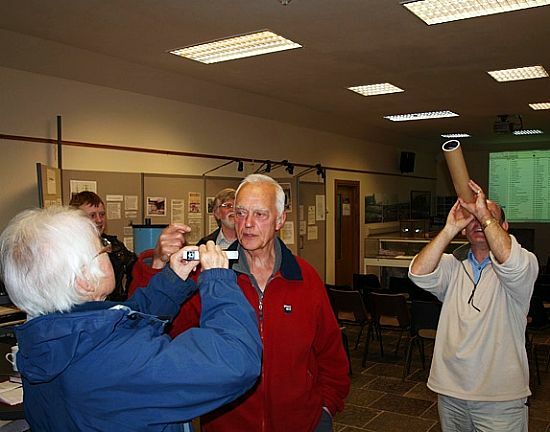 Unfortunately the weather prevented any solar observing, but the assembled audience were able to speak to members of the Group, browse a collection of astronomical materials and watch videos on various space related topics. 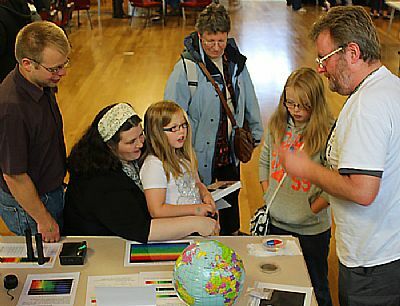 For the 3rd year in a row Caithness Astronomy Group made the trip across the Pentland Firth to provide content for the Science Festival Family Day event in Kirkwall. 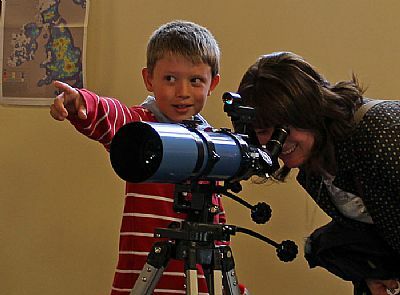 As always the observing equipment was a big hit - most couldn't believe that information could be read off boards at the other end of the hall. 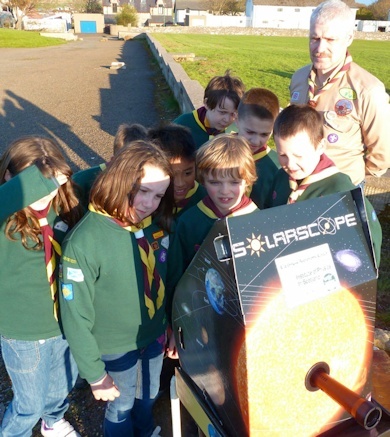 Thankfully the Sun made a brief guest appearance late in the afternoon allowing solar observing to take place too. 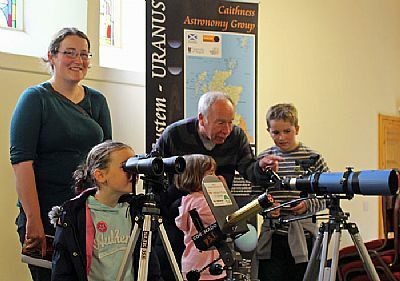 As well as the family day event the visit to Orkney afforded CAG members the chance to do some sightseeing, attend other festival events (there were a few astronomy related ones) and meet members from the Orkney Astronomical Society and the Highlands Astronomical Society. Stewart Watt setting up to run through the basics of editing night time photos. 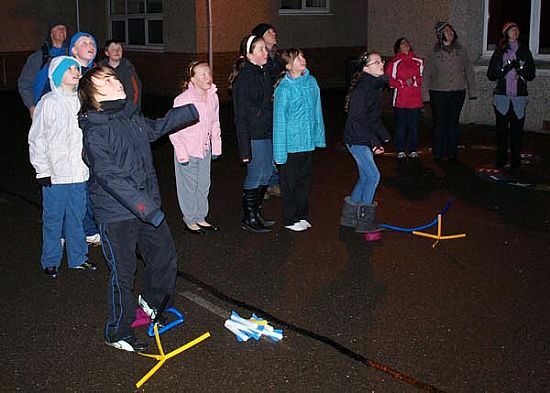 Unfortunately everyone missed the passage of a fireball across the sky, that was seen across the country later that evening. Never mind, better luck next time! 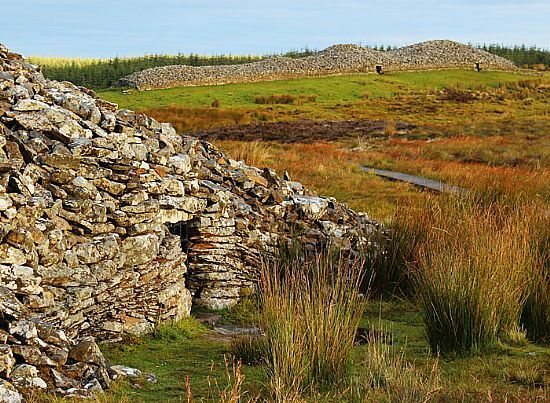 CAG were invited by local expert Peter Darmady, to view and assess the alignment of the Camster Cairn entrances with the rising Sun on the autumnal equinox. Cloud at the time of local sunrise prevented definitive confirmation, but the three entrance corridors appeared to be fairly closely, but not exactly aligned with the direction of the rising Sun. 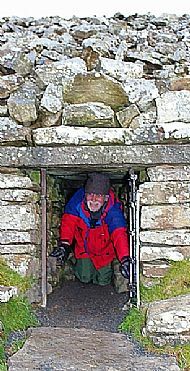 CAG Secretary Alan Kennedy checking out the inside of the most northerly cairn entrance - a Secretary's role has a wide & varied scope!! 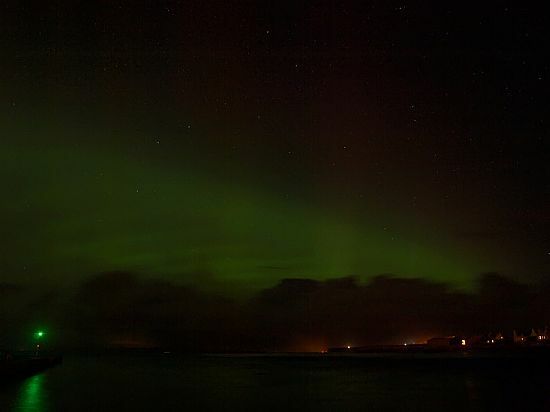 Late September and October saw a flurry of solar activity that in turn led to aurora being sighted on numerous occasions (albeit often through gaps in the cloud cover). 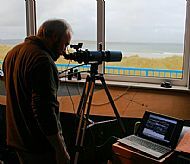 The telescope and camera allowed people to observe ships in the bay as well as wildlife and surfers on the shore. 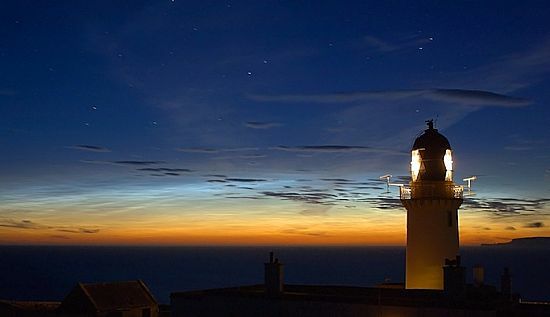 It also allowed more distant objects such as the lighthouse at Scrabster (which was a little over 6 miles away) to be viewed. 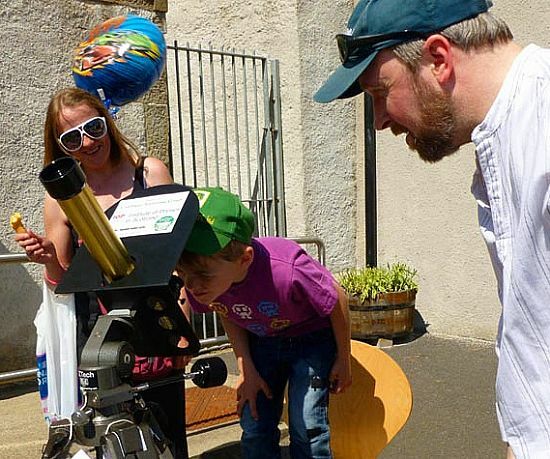 Also during the afternoon there was the opportunity to find out how to make your own basic sundial and the popular rocket launching activity for the kids (yound and old!). 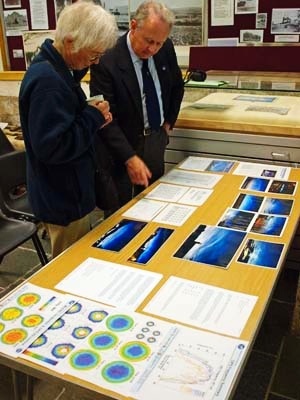 With the weather preventing any observing in the evening, a beginners talk on what to see in the night sky was given by CAG Chairman Gordon Mackie at the Castlehill Heritage Centre. 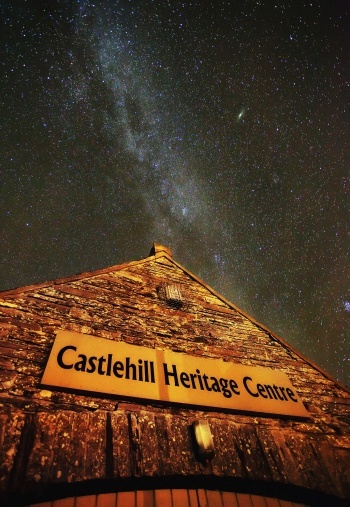 Caithness Astronomy Group has been successful in its quest to have Castlehill Heritage Centre officially designated as a 'Dark Sky Discovery Site'. 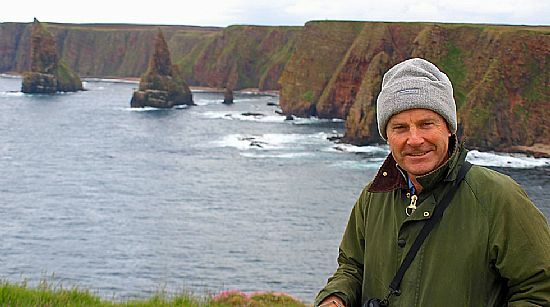 It was announced at the end of October that Castlehill is one of eighteen new sites to be so designated - and somewhat surprisingly it's the first one north of Inverness! 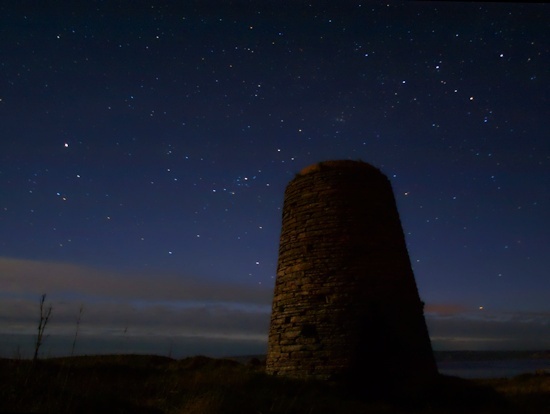 The eighteen sites have been approved by the Science and Technology Facilities Council-led Dark Sky Discovery programme as safe, accessible areas with reduced light pollution that are good for seeing the stars. 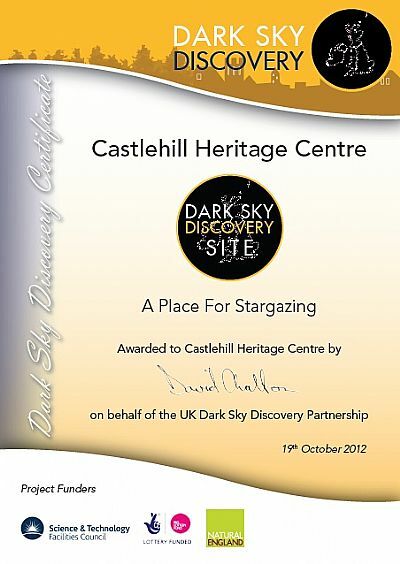 The above photo shows Hugh Crowden accepting the Dark Sky Discovery Site Certificate on behalf of the Castlehill Heritage Centre. 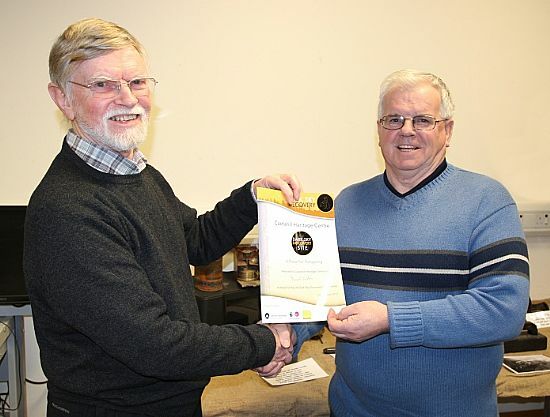 Presenting the certificate is CAG Secretary Alan Kennedy who assisted in completing and submitting the required nomination documentation. 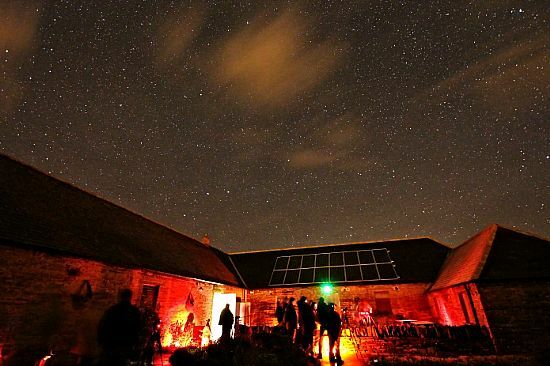 Dan Hillier, Project Lead for the Dark Sky Discovery programme who is based at the Royal Observatory Edinburgh said "It is great to see this project continuing to grow. 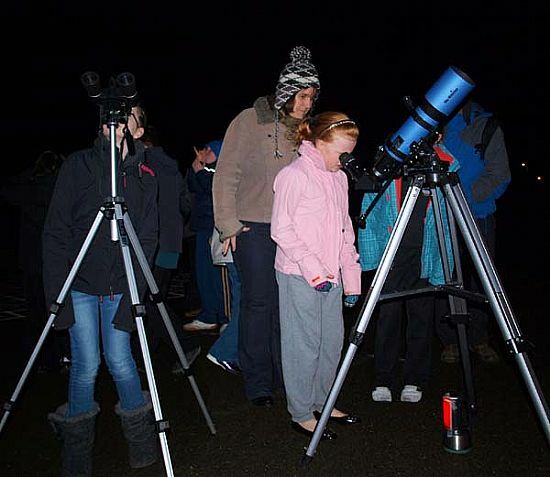 The fact that Dark Sky Discovery continues to gain such momentum is testament to the hard work of all those involved with either nominating local stargazing sites or arranging events for the public to take part in". 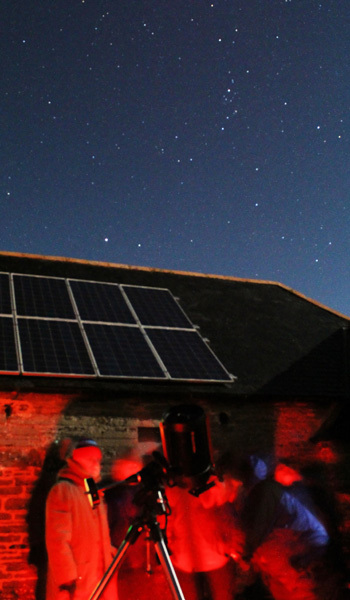 The Dark Sky Discovery programme aims to involve as many different communities as possible and encourage people of all ages and backgrounds to consider taking part in stargazing activities. 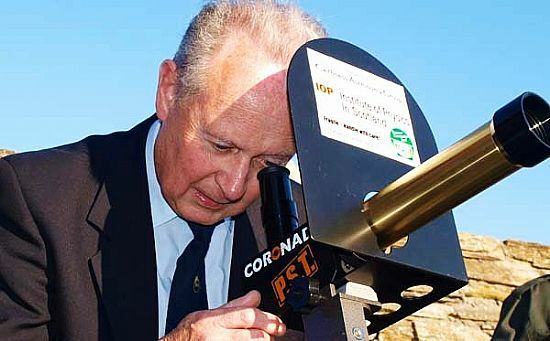 A delighted Gordon Mackie, Chairman of Caithness Astronomy Group, was keen to emphasise the benefits of Castlehill "The Northern Highlands of Scotland are lucky enough to have some of the darkest skies in Western Europe and it's great to see the first Dark Sky Discovery Site in the far north of the UK is Castlehill Heritage Centre, where Caithness Astronomy Group hold many of their events." 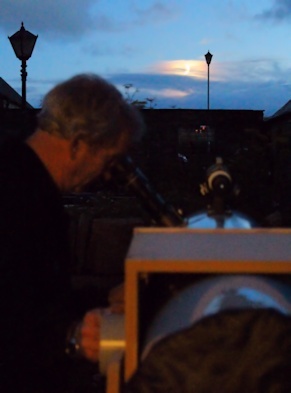 Above photo shows Mike Lunan talking through the use of star wheels for navigating the night sky. 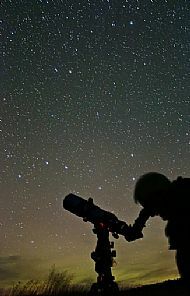 The views through Steven's 8" scope and the CAG 10" reflector were stunning! Although the display wasn't as good as hoped, it was a memorable night nonetheless. 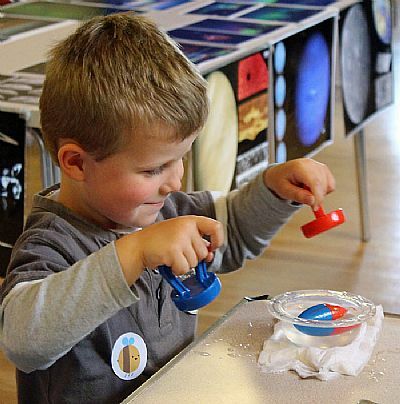 Some of the equipment and materials used during the year were obtained by CAG using funds from the the Institute of Physics in Scotland (http://iopscotland.org/) and the Dounreay Communities Fund. Our thanks to these organisations for their generous support that made some of the public outreach activities above possible. Go to the CAG Library for a full report in relation to this funding. All photos above were taken by Gordon Mackie unless otherwise stated.